More than ever, it seems, the world is changing. Consumer greed is slowly being phased out in favour of a more thrifty outlook on spending; fossil fuel supplies are on the decline as numerous experts suggest peak oil is just around the corner; there is an ever-expanding hole in the Earth’s ozone layer; and, ultimately, at least according to climate experts, the world is heading for some kind of apocalyptic finale featuring earthquakes, super-storms, droughts, floods, volcanic eruptions and killer tsunamis. There may even be cataclysmic asteroid impacts. Perhaps of more immediate concern, however, is the prospect of Britain having either a Labour Government that aims to continue on its rather unambitious path to save the planet or a Tory Government that would risk years of delays in order to follow their own green brick road. 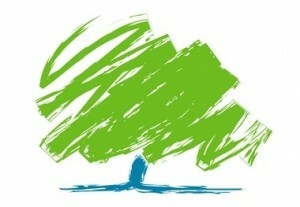 Ahead of the UK General Election in May, the Conservative party has announced that, if it were to be elected by the good citizens of the UK, it would phase out the Labour Government’s existing Renewable Obligation Scheme. The leading energy companies and renewable energy watchdogs have been stumped by such a move as, whilst ditching the Renewable Obligation Scheme in favour of a potentially more beneficial programme is hardly undesirable, the Tories are likely to delay existing renewable energy projects in the process, which would almost certainly damage the UK’s ability to meet its carbon emissions targets. Furthermore, the existing Renewable Obligation Scheme, which the Conservatives wish to replace with extended feed-in tariffs, have already proven successful in Britain’s push for a cleaner future. A spokesperson for RenewableUK, said: “The Renewable Obligation (RO) continues to be extremely successful in attracting investment to the whole of the renewable electricity sector, but particularly for wind developments. The RO has brought nearly 20,000MW of onshore wind projects into the planning system and made the UK the world’s leading market for offshore wind development”. The spokesperson concluded: “This success should not be endangered through over-hasty policy making, nor should decisions on this vital topic be undertaken without fully understanding the needs of the industry”. NEXT POST Could Human Waste Replace Traditional Central Heating Fuel? As matters stand there is already going to be a funding gap for investors in solar hot water systems, as the Renewable Heat Incentive does not start till 2011, unlike the Feed-in Tariff which covers solar PV and which kicked in at the beginning of this month. The Solar Trade Association has raised its concerns about bankruptcies in the industry as people delay their installations. Still, accredited installers such as SolarUK have still seen plenty of interest in their systems as more and more homeowners are seeing solar energy as increasingly affordable.